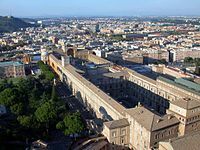 What type is thing is Vatican City? 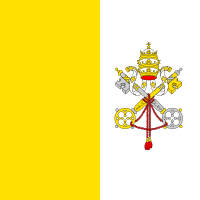 Question 2: Vatican City is currently one of the few countries that has not become a member of the ________; the Holy See is a permanent observer state. What is the currency of Vatican City? Question 4: Euro coins and notes were introduced in 1 January 2002—the Vatican does not issue ________. When was Vatican City established? Question 6: The territory includes St. Peter's Square, distinguished from the territory of ________ only by a white line along the limit of the square, where it touches Piazza Pio XII. What type of government does Vatican City have? What is the national anthem of Vatican City? Question 9: It is the sovereign territory of the ________ (Sancta Sedes) and the location of the Pope's residence, referred to as the Apostolic Palace. 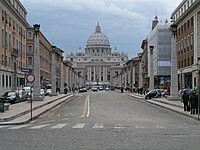 What is the area of Vatican City in square km?